With plush cushions and expansive seating space, this set of right and left arm facing loveseats will become an instant relaxation destination for you and your family. The thick cushions are covered in fade-resistant Nuvella™ fabric for optimal outdoor living, and the beautiful resin wicker design is supported by a rust-proof aluminum frame. 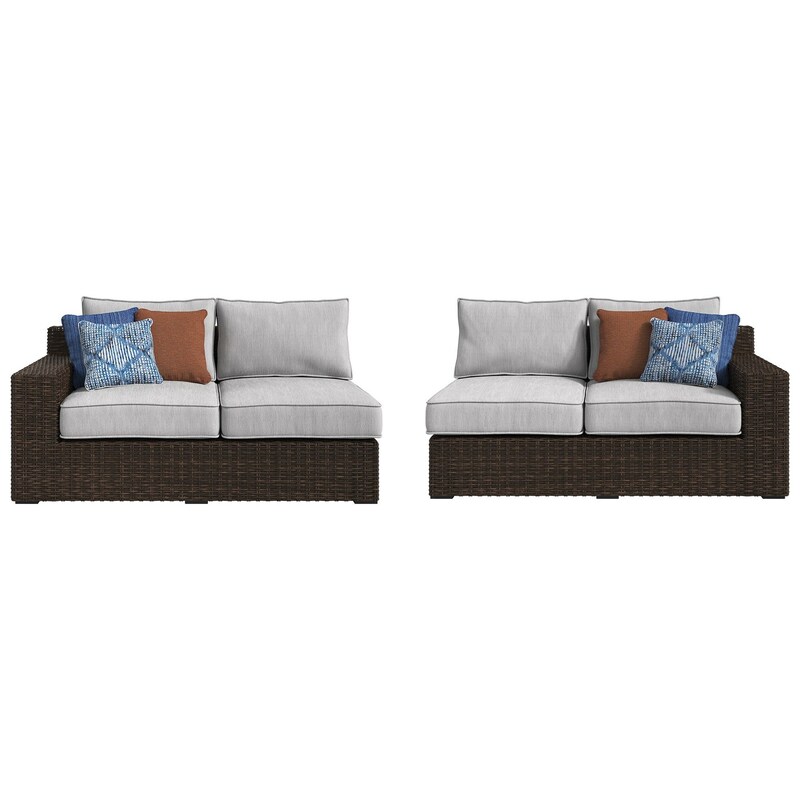 Put these two pieces together for an extra long sofa that seats four, or arrange these pieces with other sectional components to fill your outdoor space with the perfect configuration. The Alta Grande Right and Left Arm Facing Loveseats with Cushion by Signature Design by Ashley at Household Furniture in the El Paso & Horizon City, TX area. Product availability may vary. Contact us for the most current availability on this product.